It may have been said before but we are living in a golden age of television. Thanks to streaming services, not only can we watch almost anything anytime, but writers and producers are taking advantage of the medium’s new increased budgets and air time. What this means is that, rather than having to make a movie, cinematic shows with all the budget and production value of a blockbuster can be produced. While at the same time those who appear on-screen may last a certain amount of episodes, series and seasons, so character arcs can develop in a way that would be difficult to squeeze into a shorter form. Peaky Blinders is one such show, and arguably the best example of this new way of working within television’s new parameters. As the show celebrates its five-year anniversary with, reportedly, at least two more seasons yet to be made, the development of Peaky Blinders and the characters within proves that great television, given the proper time and resources, can achieve something rarely seen elsewhere. First and foremost it’s because the scripts are so good and the cast is so good, and obviously the BBC have been amazingly supportive. But right at the heart of it is Steven [Knight, writer and creator], who is getting into the minds of these characters and particularly Tommy Shelby. So you’re not really watching a story, you’re not really watching gangsters, what you’re really doing is spending time inside these characters’ skins, and so it feels very different from watching plot – you’re not watching it, you’re in it, it’s immersive in a strange way. I think that might be why it feels like a different kind of TV from all the other amazing shows that are on, it’s very much just being inside a character’s brain. Starting in 1919, the show follows the lives of Tommy Shelby and his family as they fight to rebuild their lives in the aftermath of World War One. 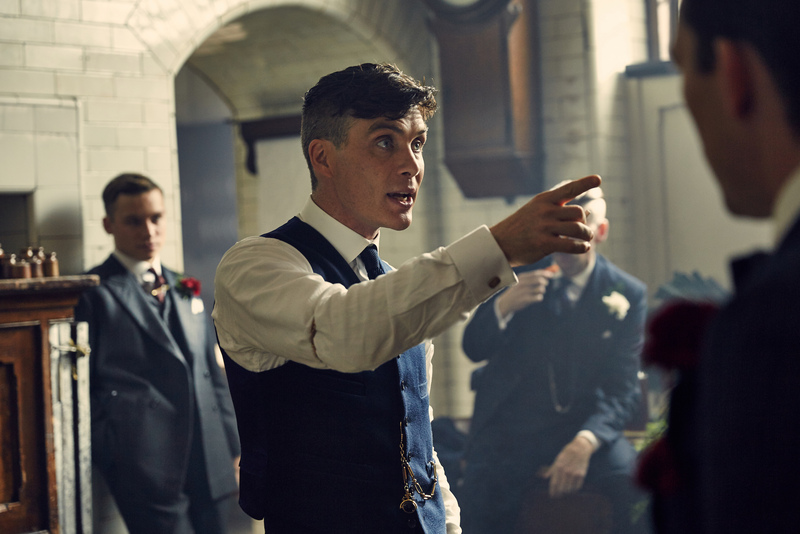 Refusing to go back to their old way of life, Tommy and his gang – the Peaky Blinders – take control firstly of their small area of Birmingham, then gradually expand their domain further and further, crossing paths and clashing with the IRA, communists and politicians, as well as rival gangs from London, Italy and, later, New York. Crucially, and somewhat disturbingly, the show is based on real life events. The Peaky Blinders were a gang that existed in Birmingham around the time the programme is set at the turn of the 20th century. Reportedly named after the razor blades gang members would stitch into the peak of their caps (though this is often disputed), the Peaky Blinders were a violent street gang, who fought for control in the city. The show’s creator, Steven Knight, a descendent of the Blinders himself, knew he wanted to tell their story, and originally had the idea almost 20 years ago. It wasn’t until recently, however, that he knew he could do the story justice thanks to the recent developments in television. What’s great about the fact that we’re doing it now instead of 10, or even 20 years ago, is that we’ve got the film technology to finally execute it properly. And people are watching on better screens now. So it’s worthwhile making it look good. And look good it does. 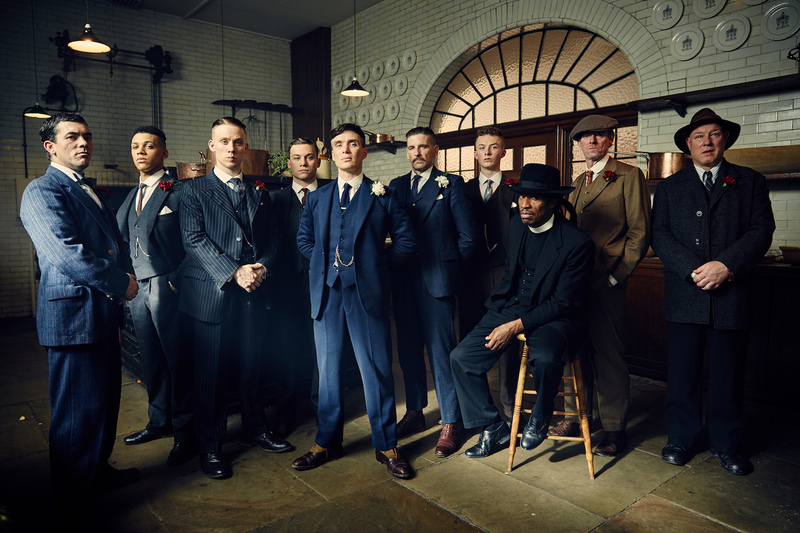 From the beautiful but dark and industrial aesthetic of 1920s Birmingham, to the unmistakable fashion, and the unconventional but brilliant use of music, Peaky Blinders has certainly had an influence on the modern culture. Even if you’ve never seen it, you will definitely have seen guys sporting the Peaky Blinders’ short back and sides, or even one of their infamous flat caps. Aside from their stark appearance, the impressions the characters make goes further than your usual, ruthless gangsters. The characters’ emotional development, and the opportunity for the show to develop, has meant Peaky Blinders has gradually become one of the best homegrown TV shows of recent times. It is some of the best writing I have come across, and I never expected to revisit a character like that over and over. It will be about 30 hours of television when we have finished and to shine a light into all these weird parts of the character’s psyche that you would never ever get in the compressed version of a feature film or even a play, that is an extraordinary gift. I am very lucky that it came along. I have always just been about the work. Murphy plays Tommy Shelby, the family patriarch, leader of the gang and head of their many business factions. However, he is by no means your typical mob boss. Though his enemies fear him and his brothers, thanks to their violent reputation, the audience is shown a side of Tommy that they are not – his unwavering passion and drive, but also his vulnerability and inner turmoil. Coming back from the unimaginable horror of the First World War, Tommy is plagued by, what we now call, Post-Traumatic Stress Disorder. Back then, however, it was just the effects of war millions of men had to deal with. In fact, the harrowing aftermath of war could be considered the one constant thread running through each series of Peaky Blinders. This interwar period is rarely confronted in mainstream television. The darkness that follows these soldiers out of the battlefield and into their homes – before PTSD was even a recognised condition – is perhaps one of the most shocking things about the show. As England recovered from the war, the shift in the political landscape was filtered down through all levels of society. The potential rise in communism versus the few defenders of the old world order created a volatile situation in the country, and meant anything could happen. For some people, it was a chance to start again. Things couldn’t go back to the way they were before, because that’s what led to war in the first place, so change had to happen. And, for the Shelbys, change it did. After the family’s memorable on-screen introduction in the first series, we have seen them transform from ambitious upstarts to leading a fearsome empire, taking on the local gangs, the authorities and even the Mafia in the process. Ultimately, Peaky Blinders is the story of one man returning from a bloody and brutal war. Disenfranchised and having lost all respect for authority, he grasps the opportunity to make a better life for himself through the only means he knows – being firm, steadfast, stubborn, and violent if he has to. He is both a product of the times and someone working to change them. As with most gangster stories, money is involved. But here it is a by-product. 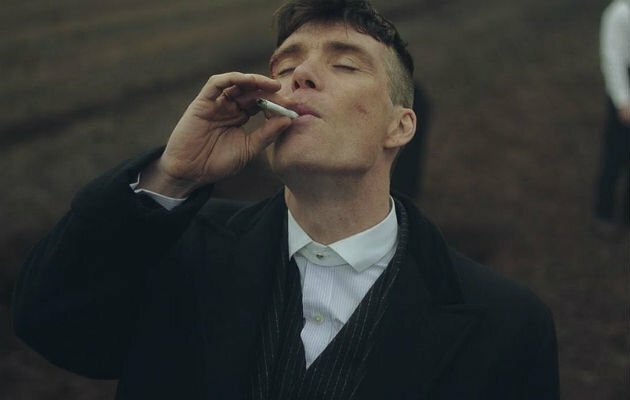 For Tommy Shelby, it’s not enough to be rich, he is after his own kind of control, a dominance, a grip on his life with no one else telling him what to do. However, as a family man, there are always other people Tommy has to look after – brothers suffering the after-effects of war even worse than himself, a strong aunt who is quick to break without her family around, and endless members of the extended gang looking to him for leadership – forcing Tommy to become the authority figure he tried his hardest to avoid. At this year’s TV Choice Awards, the show was nominated for, and won, the Best Drama Series award. Helen McCrory (Aunt Polly) was nominated for Best Actress and Cillian Murphy picked up the Best Actor. As well as its indomitable lead actors, however, the supporting cast of the show has, since its inception, been second to none. From Sam Neill’s determined Inspector Campbell to Paddy Considine’s deceptive Father John Hughes, or Adrien Brody’s terrifying Luca Changretta to Tom Hardy’s inimitable Alfie Solomons, the figures the Peaky Blinders come up against are never faceless enemies but conniving and unrelenting foe. Much like the protagonists, these characters are also given the space to develop and grow to be more than an enemy to the Shelbys, but a lingering presence. Though the show is based on a real life gang, its creators know they’re not making a documentary. I think one of the joys [of making the show] is because part of what we do is mythologised, we hit this funny register where it is obviously heightened. And that’s one thing where I salute the audience who took the journey with us, because it’s very different from social realism – it’s all heightened, like the slow motion and the billowing flames and the music, you’re watching it as something a bit different. And that’s one of the joys for everybody on the show – you know you’re going to be mythologised and made into something very special. Despite its 96 per cent score on Rotten Tomatoes, Peaky Blinders was initially met with lukewarm reviews. The Guardian reviewed its pilot episode as a ‘steampunk beer commercial’, while New York Times called it a ‘sprawling soap opera’ which ‘doesn’t have quite enough juice’. However, this is where modern TV dramas have the edge over cinema. Rather than having one chance to impress its audience as most films do, the creators of Peaky Blinders knew what was in store. They weren’t going to blow everything on the first episode or series, and they knew there was some time for the show to find its feet. Luckily for us, Peaky Blinders found its feet very firmly, and is now a benchmark of what can be done on the small screen. Filming for series five of Peaky Blinders begins later this year and, following its huge success, makes the move from BBC2 to BBC1. Series 1-3 are available to view now on Netflix.